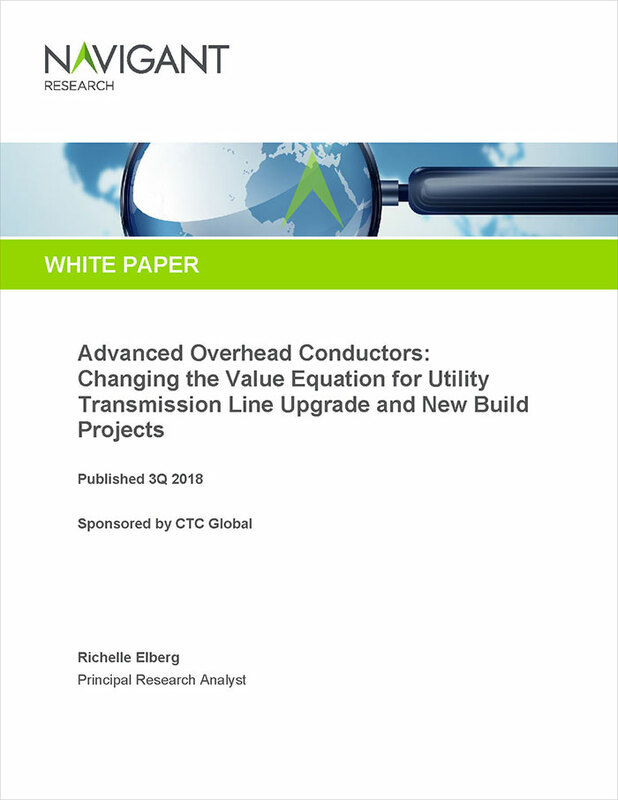 Last week, Navigant Research published a new white paper “Advanced Overhead Conductors: Changing the Value Equation for Utility Transmission Line Upgrade and New Build Projects.” Data and insights for this paper were acquired by Navigant through numerous sources that included conductor manufacturers, industry experts, government resources and end users, among others. The independent Navigant report was sponsored by CTC Global and is provided to interested parties at no charge via the link below. The report describes and quantifies the sustained growth in the Advanced Conductor market, what factors are driving this growth, how Utilities and Industrials are using Advanced Conductors, and current and expected future market shares of the various conductors considered to make up the Advanced Conductor market. Dave Bryant, Director Technology sat down with Anne McDowell, CTC’s Vice President of Commercial Operations to discuss the report. AM: CTC and its licensed manufacturing partners have delivered over 65,000 kilometers of ACCC conductor for over 600 projects in more than 50 countries worldwide. Accomplishing this has made CTC the preeminent provider of carbon fiber based core technology and the foremost player in what has become the Advanced Conductor market. CTC has been at this for over fifteen years and in recent years it has experienced tremendous growth. My colleagues and I began studying this growth trend closely and discovered that no credible third party had described or assessed the Advanced Conductor market. We wanted to test what we believed about the market, to be sure we understood what is driving the accelerated adoption of Advanced Conductors and to develop a sense for what lies ahead. We solicited proposals from a number of credible groups and believe that Navigant’s insights and pre-existing awareness of the T&D and overhead conductor markets would best serve the industry. DB: What are Navigant’s primary conclusions and what do they mean for the Advanced Conductor Market? AM: Advanced Conductors, to varying degrees, offer improved performance versus traditional conductors. Performance is a broad term that includes lower cost for addition capacity, higher operating efficiency and better thermal sag capabilities. Navigant’s work confirmed that for a number of reasons, utilities value these advantages and are increasingly deploying Advanced Conductors in place of traditional solutions. This has driven an 8X faster growth rate and will result in a market that is valued at almost $2 billion by 2026. 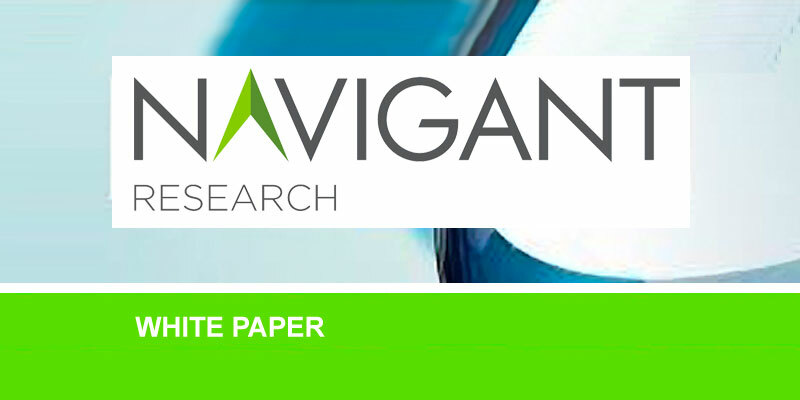 Navigant concludes that financial performance, policy advancements and environmental benefits will be the primary drivers of this sustained growth. DB: The Report mentions a number of competing products. Can you offer your point of view on these? AM: Navigant’s definition of Advanced Conductors includes ACCC, ACCR, ACFR, Invar, Gap and variants of each of these. ACSS was omitted because the performance improvements offered by it are very modest versus ACSR. CTC generally agrees with Navigant’s definition, though an argument could be made that neither Invar nor Gap offers much advantage on the same basis. In any case, my colleagues and I were encouraged by the projection that the Advanced Conductor market will continue to be driven by composite carbon fiber-based technologies well into the future. DB: What is your take on the other conductors being commercialized around various composites-based technologies? AM: I am very encouraged that the market is becoming more comfortable with innovation. CTC spent many years in a solo climb up the mountain and the fact that there are more players beginning the trek reinforces the value of our work. Of course, ACCC conductor had to earn its reputation as a consistent, reliable solution offering attractive financial returns across a wide range of applications and geographies. And I expect that these follow-on products will need to prove the claims of their developers through the same rigorous testing and trials that CTC went through. 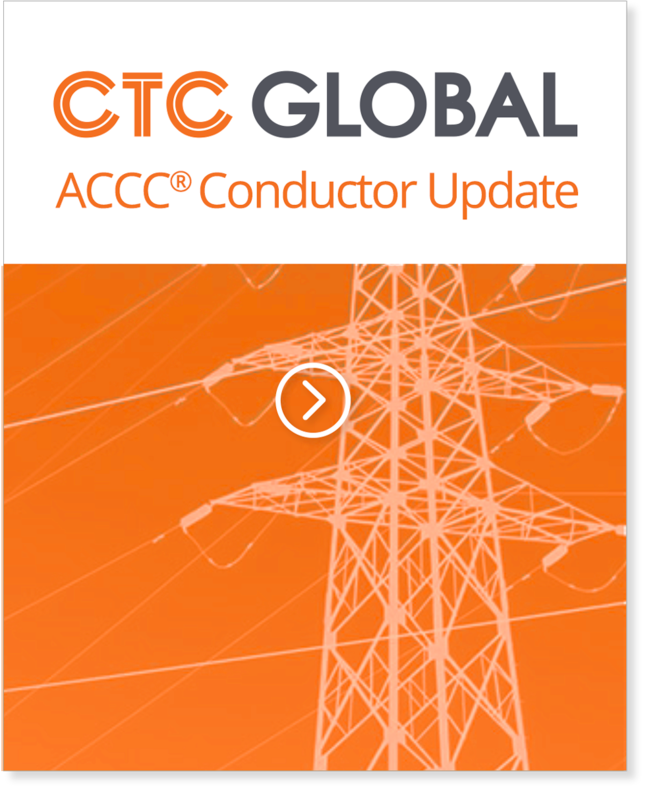 CTC is not sitting still – a number of innovations are in the pipeline and I am looking forward to competing with other responsible players to continue building the Advanced Conductor market. Navigant’s work confirms that together this group of players will continue taking market share from traditional conductors. When all is said and done, it will be utilities, consumers and society that will benefit from the broader use of these innovations. DB: Do you have any closing thoughts to share? AM: I would like to encourage the various industry participants to read the whitepaper and to provide feedback to Navigant. They are a very professional group and are enthusiastic about this market-space. I believe their insights will continue serving the Advanced Conductor market for many years to come.